A Matter of Memories: :SALE: BasicGrey Sale @ Scrapbook.com...TODAY only! :SALE: BasicGrey Sale @ Scrapbook.com...TODAY only! Scrapbook.com has an amazing deal today!! 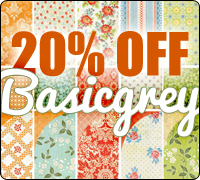 They are offering an additional 20% off the lowest-marked price on ALL BasicGrey products! No coupon required...but the offer is good TODAY only! So, if you could use some BasicGrey lovliness, now is the time to stock up!! The discount is valid on collection packs, paper, embellishments, albums, card kits and MORE!